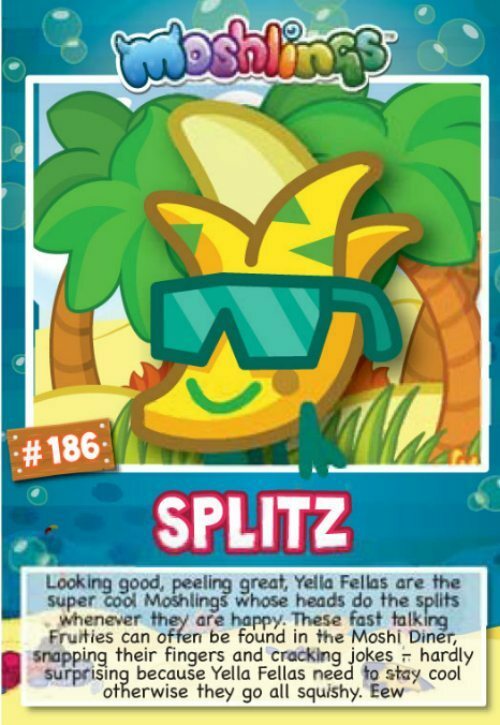 Moshi Monsters #6: Splitz, peeling good with the yella fella! 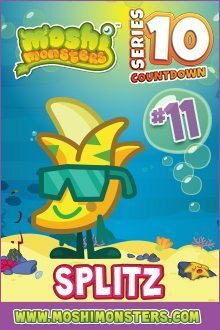 Yesterday had a slightly alien feel to it with Marsha, the swampling; today we are going all fruity with the rather wonderful banana moshling; Splitz. He is a bit of a cool dude, whose head does the splits whenever he is happy; which does seem to be rather a lot. They are often seen hanging about in the Moshi Diner snapping their fingers, and trying to make people laugh with their jokes. Most of all though, they are trying to make sure that they stay cool, as otherwise they do tend to get rather squishing. A squishy Splitz would never do now would it?